Tag Along enjoying his turn on the sleigh ride from our bedroom. Welcome to the home stretch of out Take Back Your Time challenge. We are on our final two weeks and I thought that this week you, and I, could use a break! So this week is going to be so busyeryone. If you are feeling crunched for time believe me I understand, we are following Christmas on Thursday with a family wedding on Saturday. So if you are feeling a bit stressed dont fret! Our schedules are made to help keep things flowing smoothly but let’s face it life happens! 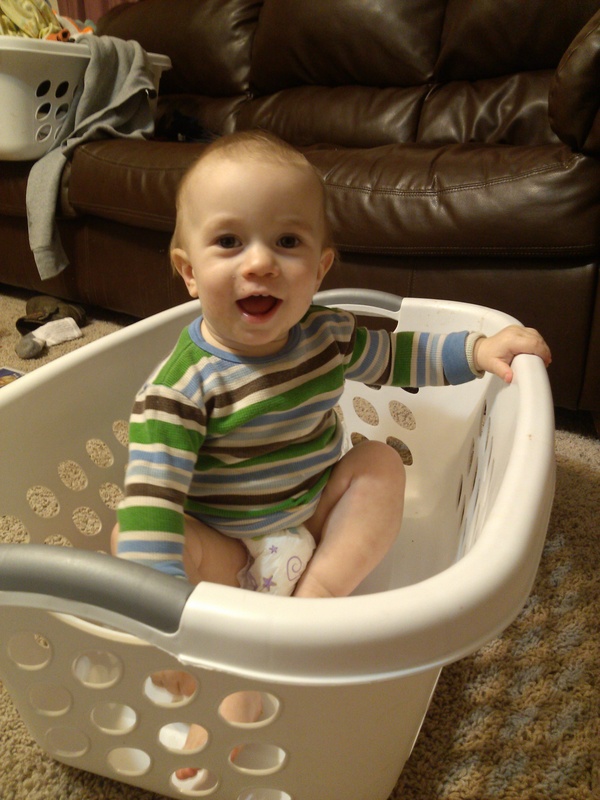 So this week our assignment or goal is simple, multi-task your laundry. Feel free to enjoy your holiday by putting in a family movie and then wash,dru and fold like crazy!!! Be sure to put everything away as well. Make it fun for the kids too. Tgey can throw the sock pairs in the sock drawer, find the matching buddies, amd of course enjoy an indoor ‘sleigh ride’ back to the living room. Be sure to enjoy your holidays and relax knowing the pile of laundry won’t be waiting for you when you come home…it will already be done! Happy holidays everyone and Merry Christmas!